André Flahaut is Belgium’s minister of state and former defence minister. For a long time, Europe has been in need of a second wind. The French President’s recent initiative should be seen as a key part of this―a welcome new movement towards relaunching the European project. Belgium must grasp this opportunity: to stem our lack of unity, stop our navel-gazing, and counter the rise of populism. Emmanuel Macron’s speech delivered on 26 September lives up to the way Europe sees itself: its grandeur and its history, but also the problems it faces. Immigration, Brexit, defence, co-existence, employment, climate change, the digital transition, social justice, the single currency, and so forth: the challenges before us are numerous and of major importance. We must face them responsibly, without recourse to the old routines or sad obsessions which continually blind us. 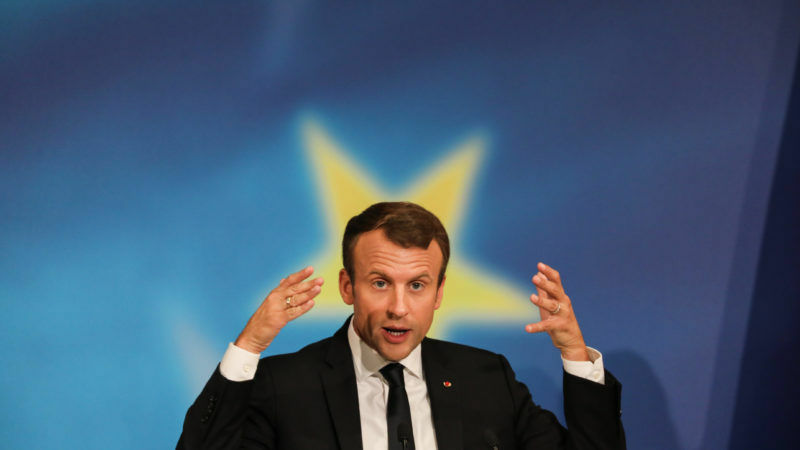 Emmanuel Macron’s appeal offers an opportunity for Europe to regenerate itself, leaving behind the doubts and blockages we know all too well. In order for the initial spirit, the spirit of Europe’s founding fathers, may continue to live and make us dream, it is up to us to reinvent it. Above all, we must restore real links between those who govern and citizens. The former could indeed not go on building Europe without acknowledging the viewpoint of the latter and of their―sometimes contradictory―aspirations. It is true that the trust of the European peoples is indispensable―without it, nothing is possible. We must not hesitate to ask the question: what kind of Europe do we want to build? More than ever we must imagine it as a project for the future. Let us try to face criticism square on, without any taboos. Fear, the flight forward and bureaucratic inflation are not the answer. In any case, we should not focus so much on explaining Europe, its machinery and its institutions, but rather on giving Europe a real substance, relevance and taste. A sense of direction, one that can excite the peoples of Europe in their diversity. No doubt, these days Europe as a project has lost the obvious attraction it had in the eyes of all who experienced the ruins of the immediate post-war period. The―mistaken―perception that the peace and prosperity we live in is here to stay saps our will to engage in strengthening the bonds that unite us. It is therefore our task to draw the conclusion and build together the Europe of tomorrow, one that is reconciled with itself. That said, most of the French president’s proposals are not really new. For a long time, we, Belgian Socialists, have been trying to promote them and explain the immense potential they hold. Let us however hail the courage of the new tenant of the Élysée Palace and his lucidity, which so often is lacking in European decision makers. Let us acknowledge his desire to change things and to get Europe out of this bad situation. Thus, he points to a number of tests, present and future, and invites to find political answers, rather than technical ones. He is fully aware that European jargon is fundamentally incapable of persuading hearts and minds. The president’s speech is original in so far as it does not mention instruments or tools, but speaks of culture and common values. Notwithstanding the blows that some in Poland and Hungary are dealing them, common values are at the heart of what brings us together. They are central to our Union and to our future. They are the only way to come to grips with what divides us, to understand it so we can overcome it. Common values can help us lay the foundations of a Europe that is self-reliant, sovereign and resilient. A Europe that is capable of taking risks. To ignore our values is to run headlong towards a collective collapse and ultimate insignificance. Through concrete steps – be they language and cultural exchanges among young people; establishing a new partnership with Africa (which I ardently hope for); harmonizing our tax-policies or creating a common budget – the road Macron is showing us is absolutely relevant. Belgium must use this as an opportunity to rouse a united Europe―of which she was a founding member―and to bring European citizens closer to a struggle which is still worth fighting for. It is particularly relevant―in an increasingly unstable world―to develop a genuine European Defence and Intelligence capability. In this respect, the replacement of our F-16 fighter planes is a real test. The offer of an enhanced partnership made by France in at early September is a step in the right direction. The irritated and conceited answer given on 5 October by the “Belgian” Minister of defence, Steven Vandeput, seems to privilege regional interests above the future of Europe in this respect. Let us hope that, nonetheless, the game is not over and that the Michel government will show foresight, along-term vision and impartiality when the chips are down. Yes, let us without further ado, answer the French President’s call and participate with civil society in the grand debate to re-found and foster Europe. Let us not squander this exceptional opportunity to forge our common future and to fight against all forms of extremism. Another Europe is possible. It is up to us to invent it! Start by reading the proposals of DiEM25.org. They have been working on new democratic proposals for EUrope for a couple of years, and are well underway to gain support in many countries.